I’m not the only one in my house who loves listening to podcasts. My kids, especially my son, are big fans too, which is why I was so excited to discover Kids Listen, a web app that creates curated playlists of the best podcasts for kids. And from what I can tell, they’ve got very good taste. Hello, Wow in the World! If you’ve ever tried to find good podcasts for kids on iTunes, then you know that the task can be pretty overwhelming. There are a ton of them out there, but not all of them are really suitable for kids, not to mention the sound quality can be a little tough to handle (Hey, I used to do a podcast on a landline phone years ago, so I get it, but nowadays, good sound is a must). So the Kids Listen team goes through them all to find just the best ones that are definitely kid-appropriate, and then creates playlists depending on what your kids are interested in, books, science, imagination, and by age, for easy downloading. Now, there aren’t many right now (about 28 or so), but hopefully they’ll be adding more soon. Good reason for more people to do podcasts for kids, too! 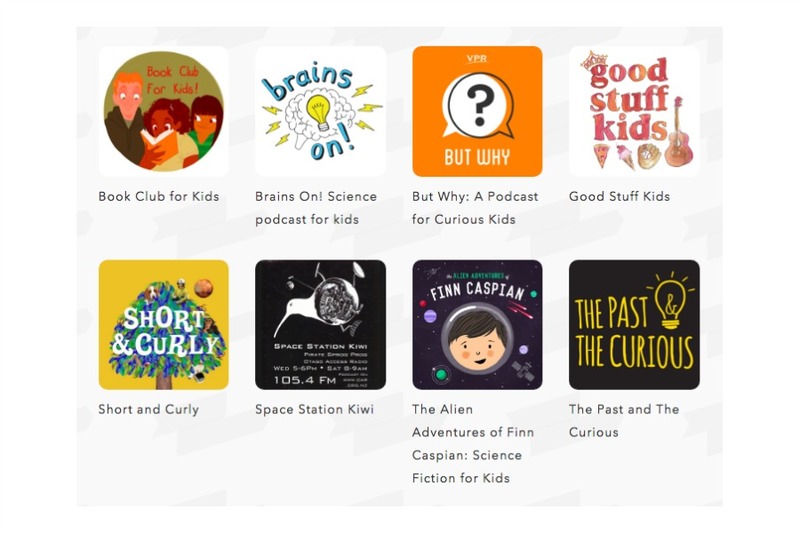 And these are only podcasts specifically aimed at kids, which is awesome, but I know my older kids like to listen to adult podcasts (clean ones, um, mostly), so it would be nice if they were able to pull some of those in as well. And while it’s just a web app right now (iOS coming soon! ), it’s definitely worth a peek, even to just discover some new podcasts for your kids who might keep asking you — like every single day — when there’s going to be a new Brains On! podcast.